Would YOU Love to Change Your Life with in 2015? (The Secret? Use these recipes BEFORE you attempt anything else in your life , or your clients). Then you’ll want to pay close attention. First, I need to tell you something. I wasn’t born with the stamp ‘Best Aromatherapy Healer and Wizard in the World’ on my forehead. I made the same mistakes over 99% of aromatherapy users and healers make. I thought I could learn what I needed to know from a blog, or from reading the back of a bottle. I didn’t seek out the best, and I certainly didn’t rigorously test everything I tried. I just bought the aromatherapy infusions (essential oils and herbs and energetic color infusions), and then I expected them to work. I thought that by simply using the infusions other aromatherapists had already crafted, I could change my life. And I was right. Well, sort of . Sure, I got ‘okay’ results that way. (Like I heard about one guy using aromatherapy to manifest his dream soul mate and winning the lottery in the same month…and I was only attracting a few things I wanted here and there). So I KNEW there had to be a better way. I looked. And as I built new discovery upon new discovery, I began to realize: I’d found it. Why would I make such a large claim? Because we’ve traveled the world and invested 100’s of 1000’s into ancient teachings, strict scientific investigations, and proofing out what works (and the hype that doesn’t) before bringing a wealth of knowledge to people who need it, like you! In fact, it’s why you’re here now. Why you’re seeking out what you can learn from this. It wasn’t until I traveled the world, collecting the most energetically infused essential oils (organic, from Bulgaria, of course! ), and discovered the fool-proof recipes that draw in success like a young bride to a diamond shop…and then tested them until I perfected them and could teach anyone to use them to change their life that I believed I had the best course available. And to date, The Golden Aromatherapy Level 1 and 2 Course are STILL the only proven courses you’ll get your hands on, online and off. Your life, unfolding, exactly how you’ve envisioned it—changing in any way you’d like, any time you’d like. Empowering the lives of your friends, family, loved ones and clients exactly as you’ve dreamed? And YOU hold all the power. Without it, your life pales in comparison. (You just won’t be able to realize just how amazing your life can become, until you’re beyond the “experimentation” part of the course—more on that soon). Beyond the fact that Essential Oil Science, Energetic Science and Aromatherapy has PROVEN to work Anecdotally (that means in testimonies from amazed patients) for centuries—clear back to ancient Egypt--integrative medical practice has been studied, using rigorous, clinical testing for more than half a century. “It’s just too easy. Almost like a cheat sheet for creating your life from scratch. If you want more love, we have the aromatherapy recipe in this course. If you want to manifest more money (attract it effortlessly into your life, and know EXACTLY which inspired actions to take), you’ll uncover the secret recipes in this course. If you CRAVE sexual presence, and virtually anyone you want, bending to your will (even entire board rooms of smart business people, doing exactly what you asked)…then you’ll want what you’ll learn in this course. If you want people to BELIEVE you’re powerful…and tap into the universal compass to find the people to bring you to power…you’ll know which essential oils to mix, with which herbs, and which color energies you need…in this course. And most importantly—if you want to help CLIENTS achieve their dreams, but you feel like your results could be better—or you believe there’s always a way to improve—then you’ll want to get this course now (before the price goes up). I’ll even share my secret sources for WHERE to get the best, organic essential oils in the world, at an amazing price (so you don’t break the bank while you’re building up your clientele, or manifesting more money). And finally see all those experiences you want…proving to everyone that you’ve ‘made it’, all those you’ve worked so hard to achieve! That money you’ve been trying so hard to attract. In Your Account. That relationship you miss. Healed. That lover you’ve craved. Attracted. But I know that’s a waste of time, because most people don’t realize what they really want until they use the CLAIRVOYANCE recipe …and leverage the powerful, proven methods I’m about to reveal to you—but I’ll do you one better. 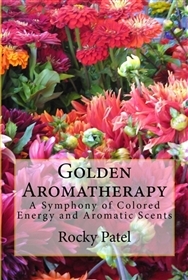 Before you click Buy Now, I want you to see just a taste of what you’ll be learning when you do a deep dive into the Golden Aromatherapy Course (1 & 2). Meaning you’ll get a behind-the-scenes, FULL COLOR, deep dive into the techniques and “core” information you’ll need to not only harness the divine power of essential oils, but also how to mix them and use them on yourself and even clients! · The CLAIRVOYANTS SECRET (which essential oils to infuse into your life to unlock your own sixth senses, and pre-program your life in any way you’d like)—clients buy these in dark alleyways around the world, and pay a small fortune to boot! Who wouldn’t, right? · And much, much more. Just how easily can you absorb, digest, and empower yourself (and people who pay you) with this knowledge? Strategically designed, this step by step online “workshop” gently guides you through the How-To Videos and Recipes that make digesting and using this powerful information quick and easy. So easy, in fact, it’s designed to help enthusiasts with virtually ZERO knowledge of essential oils become MASTERS in no time, and help masters move beyond their short comings with time-tested techniques that elevate your results. So no matter who you are, or where you’re from, or how long you’ve been practicing…there’s something that makes this workshop worth everything you’ll invest—and some say, 10X’s more. “This course will make you more powerful is an understatement. As you can imagine, holding this much power could cost you a small fortune. In fact, many students have paid me 10’s of 1,000’s to learn what you’re about to learn, and it took them years—because I hadn’t boiled it down into a comprehensive, powerful, and easy to follow ‘Course in Aromatherapy Recipes’ yet. So consider yourself blessed today for at least one reason, You can get The Golden Aromatherapy Online Courses For $297. Because I’ve recently manifested my largest sum of money ever, I’m dramatically cutting your investment today to $297, and giving you 60 days to prove it works for you—Risk-Free. So if you’re ready to discover THE amazing, authentic, ancient (and reproven) powers you’ve been reading about today, and tap into THE wellspring of knowledge about aromatherapy, all you need to do is click that button below—and you’ll get instant access now. So the question then becomes, how much is it worth to you to be able to dig-deep into the powerful world of aromatherapy and essential oils…and use THESE RECIPES and Time-Tested Techniques to get and give everything you want? I don’t have to tell you what that means for your life…your loved ones…your income…everything. The question is, wouldn’t you love to stop imagining it, and experience it in real-life? Now more than ever, I believe it’s important to act with ethics, so here’s what I’m going to offer you. If you’re not simply blown away by the amazing information you’ll learn inside within 60 day,simply let me know and you’ll get a full refund on your purchase. NO questions asked! This means you have absolutely nothing to risk by buying . That’s how confident I am that you’re going to absolutely love this Golden Aromatherapy Course! So that’s what I’ll guarantee you. If you put this into practice, and you’re not creating results, within 60 days--simply tell me what you want and I’ll help you get there or hand you back 100% of your money. Before you begin wondering what you’ll do if you have questions, stop. You won’t be the first person, or the last to have questions, which is why you’ll get instant email access to me to ask all the questions you’d like about this course, at no additional charge, immediately after you invest just $1097 $297 in this life-transforming program. No matter if you buy now, or wait to buy until you need a life-raft to stop drowning in failure or frustration…I wish you the best of luck in all of your business ventures. P.S. Please note that this is COPYWRITTEN information, and 100% proprietary. Unless you’re a private coaching client you’ve never seen anything like this Fast, Easy Life-Transforming Recipe Training before…and you may not, under any circumstances, reproduce it anywhere–without prior written permission. P.S. #2 : If you’d like to see MORE testimonials, and re-read the ones you just read (so you know you’re real) you’re welcome to check out more at Goldenaromatherapy.com.